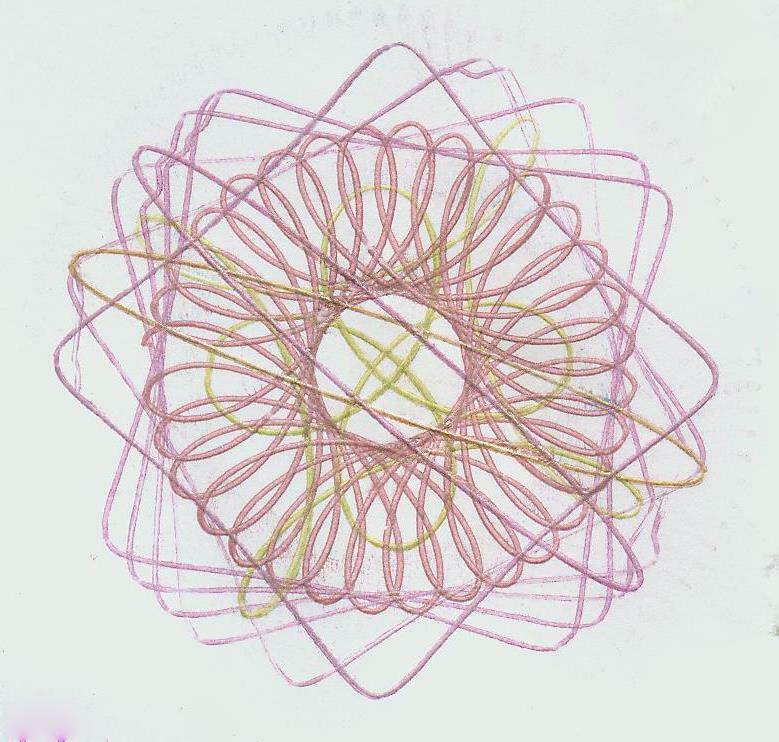 Anyone else have Spirograph as a kid? I LOVED it. I thought it was so cool. I spent countless hours copying the designs on the box and creating designs of my own. 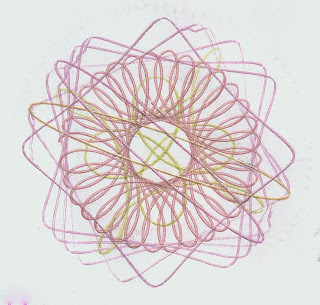 I had a folder where I kept my favorite Spirograph creations, organized by which shape I'd used. I wish I still had it, if only to take a picture. Fortunately, my mom kept Spirograph. The pens are gone, but otherwise the set is in good shape. What a flood of memories when she brought it to me! Trevor and I tried it out. He liked it, but struggled with many of the shapes. I also had difficulties! I'd forgotten how challenging some of the shapes can be. I suppose I could blame the pens, as we were using an assortment of gel pens instead of the official Spirograph pens, but I'm guessing that's it's simply a matter of practice. Here's one of the better designs I did. Plenty of mistakes, but just as cool as ever. OMG! I wanted my own set just like yours! I remember only having a few pieces, never a box! Thanks for the tip! I enjoyed checking out your site! Great! I'll be adding more stuff to it as I have time, including how-tos and surprises, so keep an eye on it. And keep practicing!